You are looking for alternatives to diversify your diet? Reach for that bar that not only tastes great, has a polished composition but also has a low calorific value. Snack without consequences for diet - a healthy alternative to a balanced meal. Many athletes suffer from a lack of variety in rigorous diet and lack lowest dose of sweetness, even chocolate. If you are you and the moments in which sięgnąłbyś willingly after this kind of snack - just you found the perfect offer for you! This baton is the solution to your problems: tasty, nutritious (rich in the building blocks for your muscles) and for that characterized by a very low calorie! All this makes it will have a negative impact on your diet and can even enrich it. 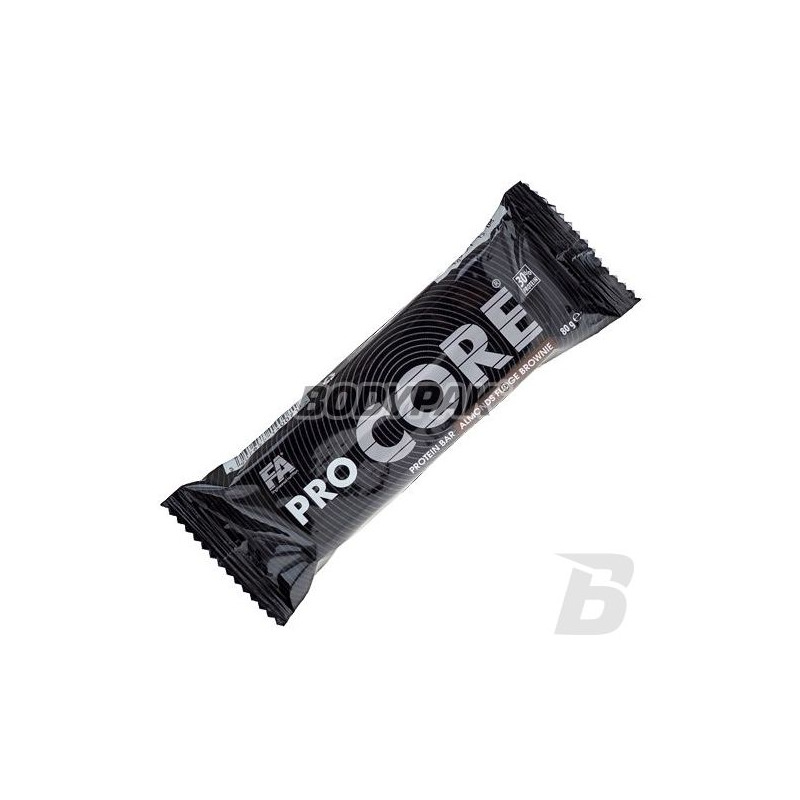 FA Nutrition Procor Bar® is a practical and healthy high-protein bar, which is used between meals keeps your metabolism at a sufficiently high level. As a result, it is much easier you control your body weight and energy levels throughout the day. FA Nutrition Procor Bar® protein in your muscles and blood sugar sustained at a constant level, so you have adequate energy levels and avoid hunger. Moreover, these bars are added and the whole nuts are coated with white or dark chocolate which is delicious! 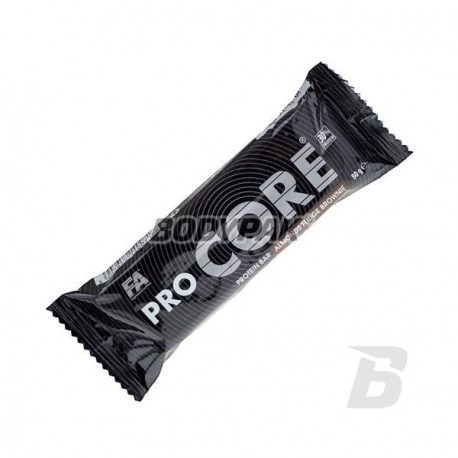 FA Nutrition Procor Bar® is a bar, which you can always have with you! It provides continuous and uninterrupted supply of high-quality protein and tastes really great. Specially developed formula of a bar, provides 25 g of protein per 80 gram serving. Bars are a form of protein meal replacement, and a way to supply the body with appropriate nutrients. Due to its simplicity and ease of consumption in all conditions and at any time of the day are classified as meal substitutes. This is an ideal and very practical solution for all active people physically and mentally, who are looking for a tasty, nutritious snack optimally support the body during intense training, sports competitions, work or while on a diet. To eat during work, at school, on the road or after a workout. FA Nutrition Procor Bar® - the modern answer to the monotony of the diet (tasty, healthy, nutritious yet low-calorie bar)! Ingredients: milk chocolate 22.5% [sugar, cocoa butter, milk powder, cocoa mass, emulsifier (soy lecithin), flavors], milk protein, peanuts 10.9%, glucose syrup, humectant (glycerol) , hydrolyzed wheat gluten, sugar, isomaltulose *, palm oil, soy crisps (soy protein, tapioca starch, salt), flavors (including peanuts), sunflower oil, fructose-glucose syrup, soy protein, emulsifier (soy lecithin). Recommended intake: Consume before and after training or as a snack. It contains allergens peanuts, milk, soy, cereals (gluten). May contain traces of sesame and other nuts. Store in a dry place at 15-22 ° C, away from direct sunlight. Bardzo dobry skład a do tego mega wybór smaków. Każdy który miałem okazję próbować mnie nie zawiódł. Polecam szczególnie białą czekoladę z migdałem i karmelem. Ja batony jem głownie dla smaku, wartości odżywcze są dla mnie drugorzędne, ale dobrze, że tutaj rozkładają się idealnie. Pyszny baton, z niską zawartością kcal. Jeśli musimy czymś zastąpić pełnowartościowy posiłek to tylko tym batonem - idealne proporcje białko-węglowodany-tłuszcz. W smaku też bardzo dobry i przede wszystkim zapycha, a o to tutaj najbardziej chodzi! Baton energy based on high-quality carbohydrates and sensational taste, provides quick energy boost. Reach him if you have had enough of monotonous diet!